Nitrogen deaeration and vacuum deaeration products by GasTran Systems. 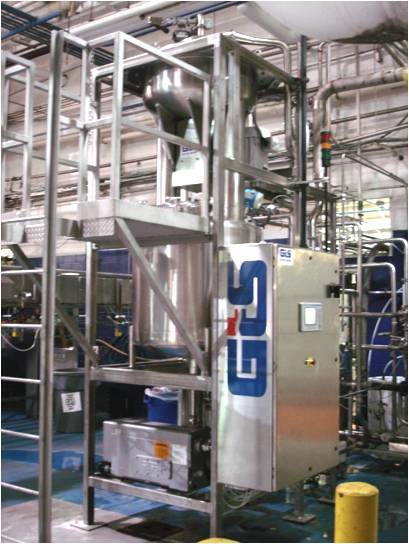 GasTran Systems designs and manufactures complete systems to deliver deaerated water for up to three different bottling lines simultaneously. Standard designs are capable of handling flow rates up to 400 gpm. GasTran Systems supplies GasTran Units to OEMs and Systems Integrators who want powerful mass transfer performance in a small package. The compact design of a GasTran Unit is easily incorporated into skid-mounted systems and the fittings and materials of construction are readily customizable to many applications. Standard designs are available from 5 gpm up to 400 gpm. To learn more about GasTran Unit design specifications or to discuss options for integrating this into your process equipment solution, please contact us or click below for our standard units for carbonated soft drink. 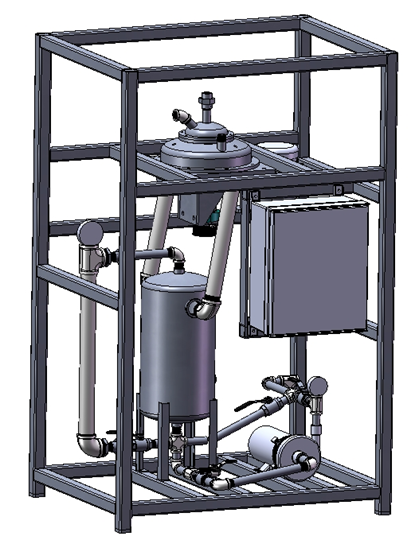 GasTran Systems can custom design a system to meet your most challenging process needs. From small systems for research up to very large systems, we utilize our years of experience in equipment and process design to provide you with a solution based on our proprietary GasTran Technology. We can provide individual GasTran Units tailored to meet your process needs or complete skidded turnkey solutions with integrated components. To learn more about custom systems, please contact us.